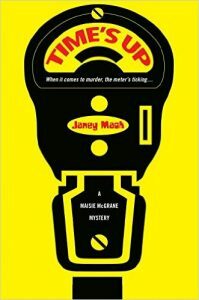 Time’s up is written by Janey Mack who wanted to be a cop but instead followed another dream to become an author. In her the book, she introduces Maise McGrane, who like her, has always wanted to be a cop – it’s in her blood. Her father and more than half her brothers are cops. The rest of her brothers are lawyers like their mother. Maise is nearly done in the academy and believes she will graduate at the top of her class. Then suddenly the rug is pulled out from under her when her instructor tells her she failed the psychological examine. When her family hears what happened none of them are concerned. They think Maise should turn to plan B and attend law school but Maise disagrees. She is determined to be a cop and to prove it. So she applies for the hardest job there is: meter maid. If Maise can handle the public ridicule of the job then surely those who thought she couldn’t be a cop will reconsider. Maise’s boss is very wacky and strict on rules and her training instructor is similar but instead of being part crazy, she is caring. Life at work does not get easier after Maise is assigned a partner. She has to do her work on top of her own because her partner is physically unable to do her job. Their boss wants to fire her but Maise and her former instructor refuse to let it happen. If work wasn’t tough enough, her personal life is not much better. Although she is close with her family, they disapprove of her ex-ranger boyfriend with a mysterious life. And she has little social life thanks to past women friends falling for one or all of her brothers and their father who hardly lets her date. Then two union bosses are murdered and Maise finds one of the bodies while on the job. She uses them as her back door way to investigate while the cases themselves belong to two of her brothers. She helps by doing work for them in her spare time. Maise is able to handle both quite well until a parking ticket involving the mayor. They have a nasty confrontation that goes viral on social media and before Maise knows it she is swept from obscurity to semi celebrity. Her boss and her superiors force her to be the voice of every meter maid across America. I thoroughly enjoyed reading this story. It is funny, action packed, and every character even the supporting characters is fully formed. Further Mack really lets a reader into the life of a meter maid and all it entails the good, bad and the super ugly. 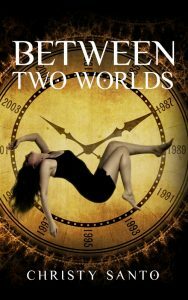 I look forward to reading Maise McGrane’s other adventures in what I am sure will be a lengthy series.